As more and more books are sold online, it becomes increasingly important to find a way to sell books that are *not* printed by CreateSpace, IngramSpark, Lightning Source, Lulu and the like. Amazon Advantage is a book and media consignment program that allows publishers to sell new books printed by any printer. In May of 2016 Amazon made changes to its program and increased the annual membership fee—$29.95—to $99 per publisher, per year, billable annually. Like the old fee, this is deducted from sales or can be paid by check. Understandably, more than tripling the fee raises the questions: Is it worth it? Are there alternatives? The ability to offer print books for pre-order. A way to sell books printed by someone other than CreateSpace or IngramSpark. Amazon touts several so-called benefits and added a few new marketing programs. According to Amazon these marketing programs were previously reserved for Amazon’s biggest vendors. Evaluating the 10 Amazon Advantage Benefits: Do they make sense for your books? Some of this is Amazon spin, some of it legit. Before you jump on board, or get too excited, read through my comments about their benefits to decide whether the $99 price makes sense for your publishing business. It is essentially the “only game in town,” although some publishers are opting for Marketplace/SellerCentral with FBA. More about that below. Pre-order. Advantage is still the easiest (if not the only) way to make your non-POD print book available on Amazon for pre-sale. This by itself is a powerful incentive for a publisher to join the program. Alternatives/Options: There is no cost or restriction for offering your Kindle eBook for sale via pre-order. Vine Reviews. Vine reviewers have been selected by Amazon based on the quality of their reviews and how helpful the reviews are to other customers. The reviewer gets a special badge by their name but there is no research suggesting that shoppers trust those reviews more than others (also see my post on reviews for the Content Marketing Institute). But let’s say they are worth it. Amazon says Eligible items can be enrolled in Vine starting at $1500 per title. Not exactly small change for small publishers. 2018 update: It used to be that you could look up a reviewer's contact information on Amazon, assuming they listed it. I did this for one of my books and scored a great review. Amazon removed contact information in the spring of 2018. Alternatives/Options: Consider using NetGalley to reach potential reviewers for a price that is far less than Amazon’s. Costs can range from $25 to $699 and I've written a post about this on my personal website. Find it here on DavidWogahn.com. Btw, a book listing on NetGalley and a Kirkus review is still less than $1500 and arguably a better value. A+ Detail Pages. What Amazon says: The “A+” detail page is a deluxe detail page featuring advanced formatting and rich media content to enhance the customer shopping experience and convince customers to buy your product. You can have all this for “only” $600 per title. Alternatives/Options: I know from past experience that we could use some advanced HTML formatting to improve the presentation of a listing; tags for bold, italics, and line breaks. They are tricky to get right but the Amazon support team is always there to help. It is unclear if this remains part of the new Advantage, or now goes away. Bonus: We have a tool to help you create beautifully formatted descriptions for any Amazon book listing, find it here. Pricing Discounts. This one looks promising. Publishers fund and create a coupon for customers to use as an immediate discount off of the Amazon selling price. It is a self-service program and for each book sold, the publisher pays a $0.08 redemption fee and $0.17 clipping fee for the coupon (coupon pricing subject to change). This is in addition to the discount you offer, for example 10%. Alternatives/Options: You can of course do this directly from your own website but to my knowledge, this is the only program of its kind on Amazon. Amazon-branded offer. Nothing new here. Amazon is simply calling attention to the fact that their message “ships and sold by Amazon” is good for your customers. Indeed, this is important and is no doubt the reason why many publishers that used to use Ingram POD exclusively now also use CreateSpace to avoid their book showing Temporarily Out of Stock or Ships in [x days] messages. Purchase order forecasting. Amazon claims that they help you manage your inventory by predicting when they need books. Debatable. For one of our clients they over-ordered and we got stuck with the extra shipping fees. To make matters worse, they send back books if they over-stock and never tell you when that might happen. Who likes unexpected returns? Fast vendor support. Okay, they do have good customer service. They claim 18 hour response times. No inventory or storage fees. I am unaware of any bookseller that charges publishers a shelf-rental fee so it seems like a stretch to call this a benefit. Granted, there is a cost to Amazon but the benefit seems to accrue to them in support of a strong customer service reputation for fast delivery. Also, it isn’t like we can store any number of books we want. It is not uncommon to receive a PO from Amazon for say 3 books, and other PO a week later for say 3 more. The shipping expenses kill margins and call into question benefit #8 above. SellerCentral can be used to sell used *or new* books (and other products). 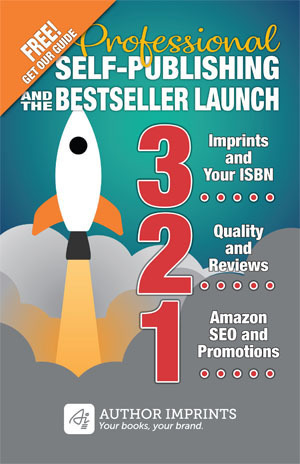 You don't need to be the publisher to do this, and you don't get all the same benefits as Amazon Advantage, but you do make more money and control your pricing. Your book can also be sold along side your Kindle eBook. You can choose to use Fulfillment by Amazon (FBA), or ship books yourself. It is a bit more complex to explain so I've written a full post complete with FAQs and resources on all Amazon selling portals here on DavidWogahn.com. Btw, I also offer consulting on choosing the right approach for your books, and how to find alternate ways of listing books on Advantage and ways to get listed in the Ingram catalog. Click here for consulting options. I am done with Advantage for CD sales. Cancelling my account today. CD sales are dying out compared to digital sales anyway. Not gonna give Amazon $99 when I’m owed $100 AND Amazon already pockets 55% or even more if they feel like it. Jim is entirely correct. The required 55% discount is insult enough. Add to that the need to pay shipping to Amazon and now add the $99 annual fee, the program makes no sense to independent publishers. We’re signing out. One of my clients wanted her book in a large independent bookstore. A single location. The terms were a 50% discount and we had to ship them the books, and pay a “stocking fee” of $35. If they didn’t sell after a year we could pay to ship them back, or they would destroy them. I’m losing money using Advantage Amazon! I would like to know what method of selling through Amazon that gives them a bit of a profit with physical books. Open to suggestions! I was just about to sign on Amazon Advantage for Books when I read your report. Now I’m having another think. I have categories but no browsenodes on my books according to ‘BrowseNodes.Jadebox.com’ Would this block sales on Amazon Advantage? All publishers have the same issue and it has nothing to do with Amazon. If you want to sell your book in any bookstore, be prepared to give up at least 40 to 55% of your retail price. Otherwise sell direct from your website. Block sales to Amazon? I don’t understand your question. When you list a book on Amazon via Advantage, you choose categories where it is listed. You don’t need to know anything about browsenodes. I self-published my latest book and this time decided to do my own distribution, including Amazon. In the past two weeks, I’ve gotten four orders, each for one or two copies to be mailed to one or the other of their fulfillment centers. Monday, I got orders for 9 books to be mailed to 6 different places. Since I have to use priority mail, the cost is killing me, reducing my royalty to as little as 85 cents. A friend suggested that since I own the rights that I publish again using Amazon’s Create Space and POD, thus eliminating shipping costs. Is that possible? Yes, that is possible assuming you have the necessary files to upload and a great solution. I also suggest that you contact Advantage via their customer support and explain your situation as you did here. I know they have been sensitive to this situation in the past so perhaps they can make a change at their end. My books are simple novels of no pretensions. Can you suggest what my books lack. So the cost of using Advantage is about double that of MarketPlace. What am I missing? Why would anyone use Advantage? With Advantage you control your listing. Marketplace is essentially like selling on Ebay. You are right that it is better financially. Also keep in mind that 55% is what you get when selling through any book wholesaler, not just Amazon. Who prints the book pamphlet if I send my book pamphlet wiz file to Amazon advantage? Advantage is a way to sell already printed books. They are not a printer.